In the aftermath of the Russian Revolution, Lieutenant Bob Cowan of the British Royal Navy must rescue a party of five women, including two of the Tsar’s daughters. With the women holed up in a refuge a hundred miles up the Astrakhan river, this will be easier said than done. Astrakhan, where the Volga empties into the Caspian, was a Bolshevik stronghold, sizeable naval base and army command of half a million men. 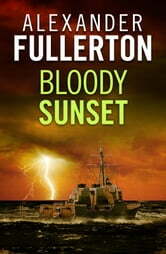 And the British Navy is here to fight Turks and Germans, not Bolsheviks. How can anyone be sure – in a climate of treachery and deception – that this isn’t some kind of a trap? Getting in there will be difficult enough, what chance will he have of getting out again in the company of five aristocratic ladies? 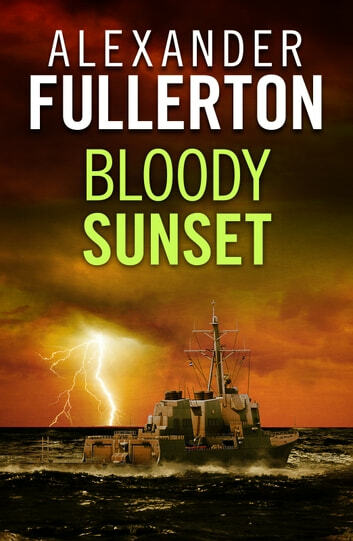 With high-tension action and excellent historical detail, Bloody Sunset is ideal reading for fans of Douglas Reeman and Philip McCutchan. A very good quite fast moving story. Although I think the writing style is a bit old, I liked it very much and have bought. Book 2 .